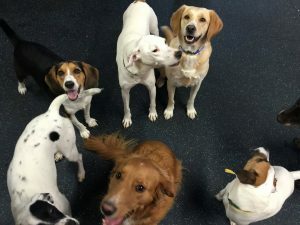 Since 2006, Dogtopia of White Flint has worked hard to provide a friendly and fun place for your four-legged family member. We offer a number of amenities to facilitate any of your needs as a pet parent: dog daycare, dog boarding, training and dog spa services. 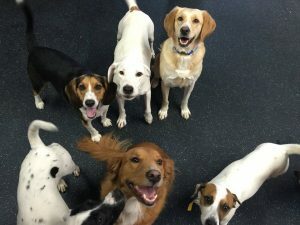 Our unique and knowledgeable team wants to make your pet feel like our fully-equipped, spacious daycare is their ‘home away from home. We proudly serve dog parents in White Flint, North Bethesda, Bethesda and Rockville at our conveniently-located facilities. You can easily access our facility from Wyaconda Road if you are coming from Nicholson Lane or 355 South. We are also just a short drive from White Flint Mall. There’s plenty of parking available in our parking lot. 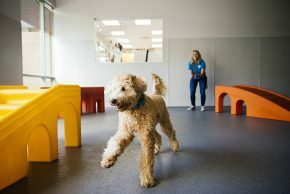 Rather than leaving your pup all alone at home while you’re away, why not send them to daycare where they can explore new things, get plenty of exercise and have fun? 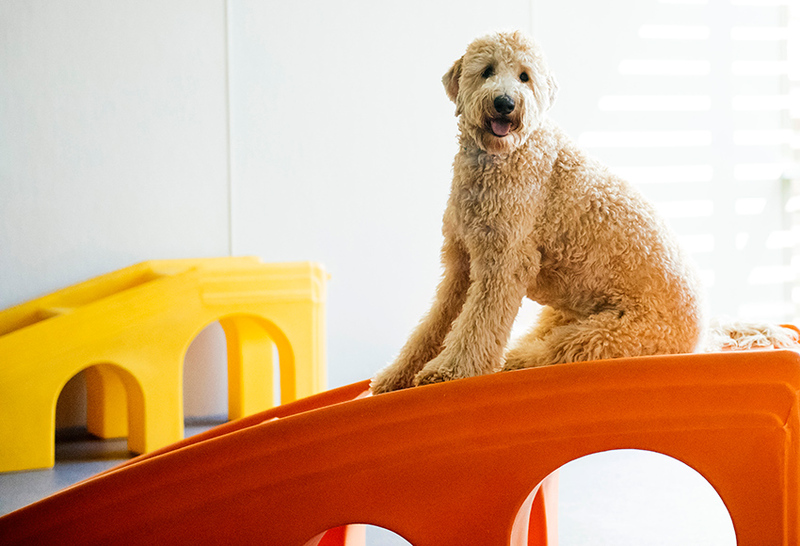 Our daycare program focuses on providing an entertaining and safe alternative to leaving your furry best friend at home alone. Our facility features three spacious playrooms that are fully equipped and supervised by our highly trained team. 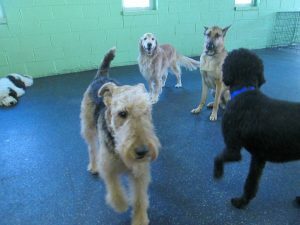 We want your dog to have the most exciting day ever while playing with their friends, which is why we separate each dog into groups according to their size, temperament and play style. There’s nothing better than allowing your pup total freedom, which is why our facility is off-leash. 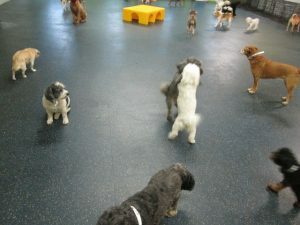 Your dog can attend our half-day or full-day daycare services, which are available seven days a week. After a long and fun day, when you pick your pup up, their energy will be drained from playing with their new furry friends. There will be times when you can’t travel with your dog; in those cases board them with us and they will get to enjoy our safe, clean and comfortable accommodations. Is your beloved pup getting a bit stinky? In that case, you can also add one of our many spa services to your daycare or boarding package. 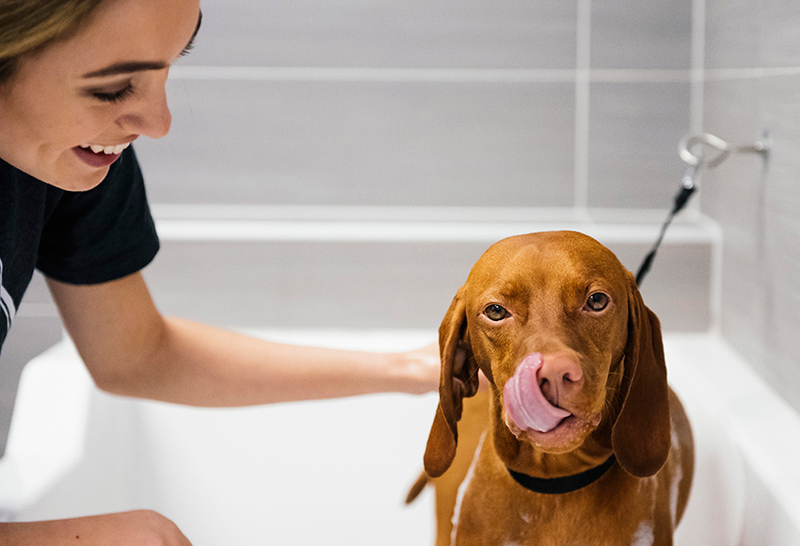 In addition to the basics, our doggie spa also offers a number of luxurious spa treatments such as mud baths, doggy facials and more! We also offer our customers Blue Buffalo’s premium dog food. 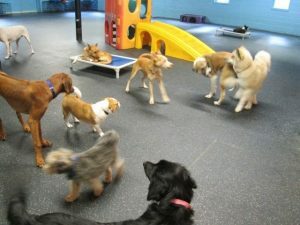 We have dedicated playrooms for dogs of different sizes and play style. 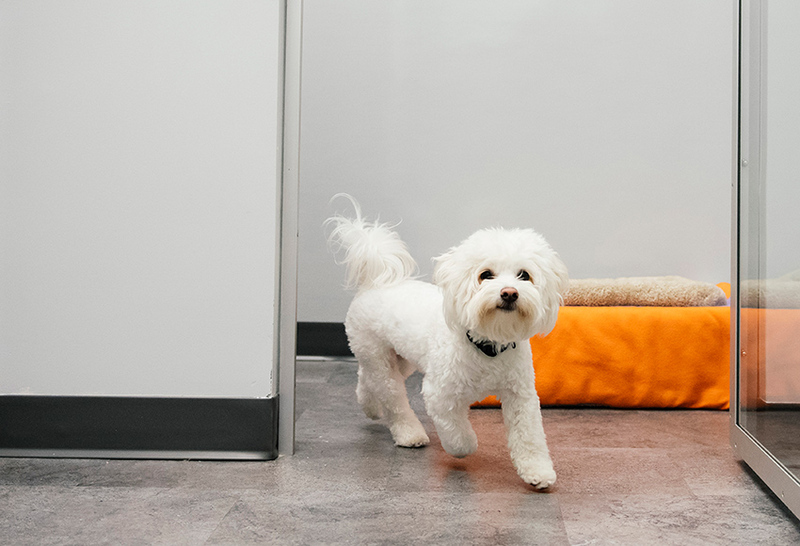 We want every dog to feel stable and comfortable, which is why we have rubber flooring to enhance your dogs’ well-being; it allows their paws to grip easier, and it protects their hips and joints. You can also ease your separation anxiety by using our live webcam feature. 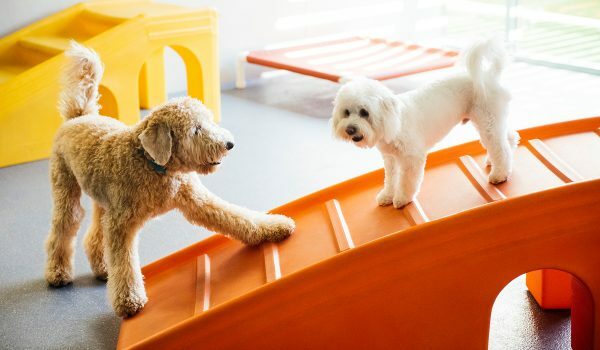 Wherever your dog is having fun in our playrooms, you can check in on them. We installed the webcams to give you peace of mind, letting you know your dog is safe. 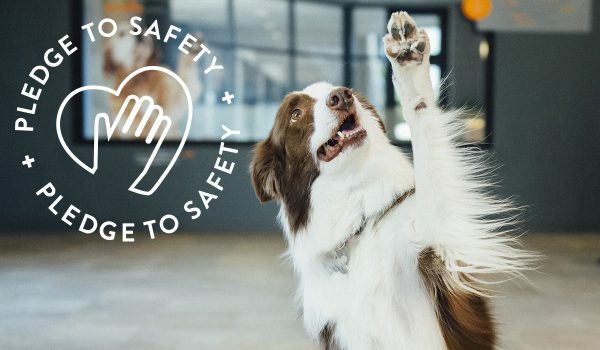 At Dogtopia of White Flint, the safety of your dog is of the uttermost importance. 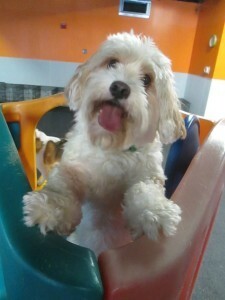 While your pup is in our playrooms, they are fully supervised by our highly trained team. 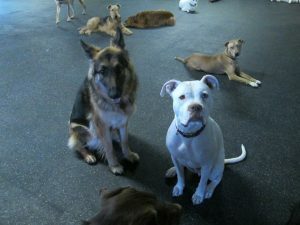 Our dog care professionals can identify any changes in your dog’s behavior and give a time out to anyone who needs one. 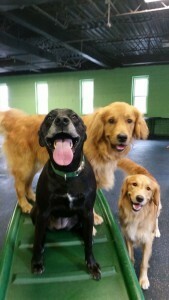 At Dogtopia of White Flint, we recognize that each dog has different needs. 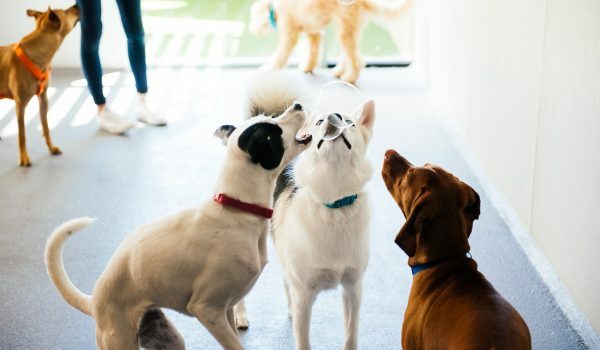 We put in the time to meet and discuss which dog daycare, dog boarding and dog spa package will work best for you and your dog. If you have any further inquiries on our services, please feel free to call us at (240) 389-5124 or fill out our contact form.